Men’s Basketball defeated George Washington 60-50 Wednesday on the road, despite shooting 3-20 from beyond the arc. The Rams shot 0-for-10 from three in the second half alone. George Washington was held without a made basket in the second half for the first six minutes. The Rams used this and went on a 8-0 run to open up the second half. The 8-0 run extended the Rams’ lead to 10 points. “We just wanted to get off to a good start and not give them early confidence in the second half,” junior guard De’Riante Jenkins said. Jenkins finished the night with a team-high 14 points while logging five rebounds. Fouls plagued VCU for the first 20 minutes, with the Rams amassing 10 fouls. 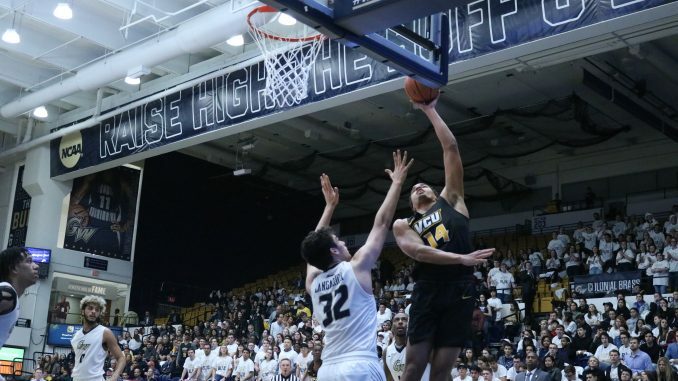 The Colonials went 10-for-12 from the free-throw line, taking advantage of VCU errors. The Rams forced 17 Colonials turnovers, including 12 in the second half. VCU forced six during the 8-0 run that opened the second half. The Rams and Colonials spent most of the first half trading baskets. VCU’s biggest lead of the first half was five points, which they held two different times. George Washington used an 8-0 run in the latter part of the first half to take a two-point lead. Jenkins and sophomore forward Marcus Santos-Silva hit back-to-back baskets to give the lead back to the Rams. Santos-Silva finished with his fourth double-double of the season, as he scored 10 points and logged 11 rebounds. He recorded six of his 11 rebounds on the offensive glass. “We just wanted to get off to a good start and not give them early confidence in the second half,” Santos-Silva said. 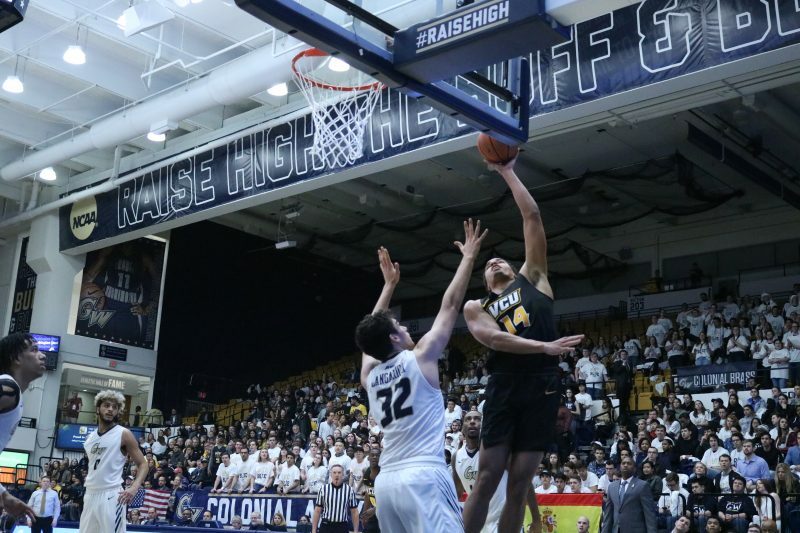 Santos-Silva almost out-rebounded George Washington offensively — the Colonials tallied seven. The Rams went on a 6-0 run over the last two minutes of the first half, giving VCU a four-point lead into the halftime break. The HAVOC defense held George Washington to shooting 35 percent from the field in the first half, including 22.2 percent from beyond the arc. VCU shot 58.3 percent from the field in the first half, while shooting 3-for-10 from three. The Rams will be back in action Saturday afternoon at 2 p.m. on the road at St. Bonaventure.